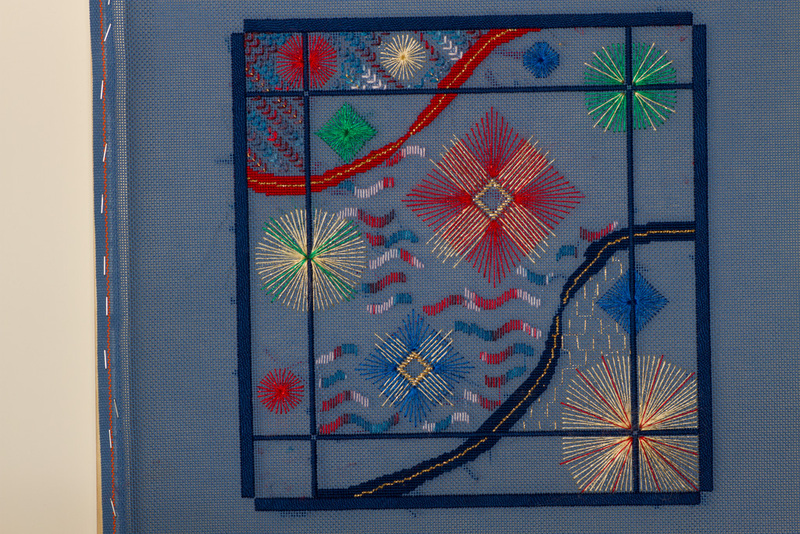 Our June and July needlepoint stitching project is fireworks, of course! 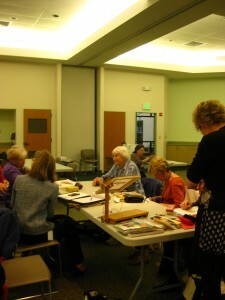 Barb G. is conducting a session on stitching a Laura J. Perin design on beautiful Prussian blue canvas. 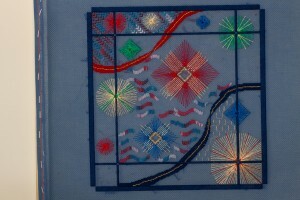 The sparkly threads are laid in burst patterns on top and convey a gorgeous July 4th sky. If you have signed up, you now have a thread list and instructions. Just add stretcher boards, threads, a bling-y little magnet and you’re set to sail! So join us Monday, June 16 at 6:50 p.m. at Bethany Lutheran Church at Hampden & Dahlia in the Great Hall. 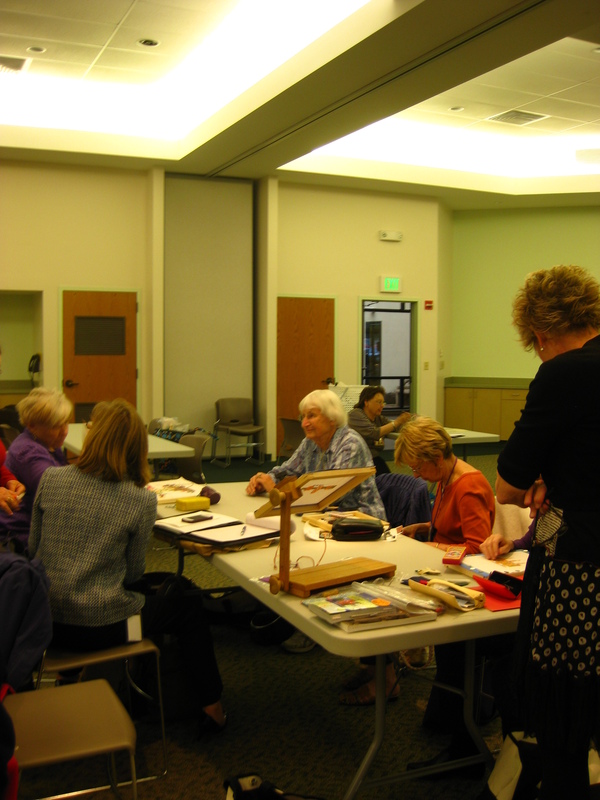 We always have refreshments and a terrific Show & Tell table with fab finished needlepoint projects! Click HERE to check out our newest advertisers and see what goodies they offer needlepointers! Needlepoint Garage Sale is our May attraction! The G-A-R-A-G-E S-A-L-E is upon us, needlepointers! Clear out the old to make way for the new! Think about that new painted canvas you’ve spied recently and think how free you will feel to stitch it — once your stash has been cleared up a bit… Ahem! So mark the calendar for Monday, May 19, 6:50 p.m. in the Great Hall of Bethany Lutheran Church, Hampden & Dahlia Streets. And remember, the Great Hall can sometimes be divided into three rooms, so seek us out in one of the adjacent spaces if you don’t spot the group in the first room. Bring your sale items marked with prices if possible — $5, $10, $100 or whatever. Just 20 percent will be cut out for the chapter, unless you generously earmark ALL PROCEEDS to CCC-ANG — a wonderful gesture for your favorite needlepoint group! 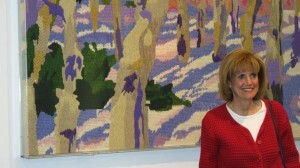 Also on tap will be Janet Gebow, teaching Part 2 of ‘Everything you’ve ever wanted to know about Needlepoint, but were afraid to ask!’ In just 20 minutes, Jan will show stitchers needlepoint tricks and techniques never dreamed of… we’ve got the canvas, just bring some threads and a needle and learn new goodies for your stitching repertoire! It will also be THE VERY LAST CHANCE TO SIGN UP FOR ‘Independence Day,’ a beautiful firework-y design by Laura J. Perin on a gorgeous Delft-blue canvas. Cost is only $13, so jump in while the jumpin’s good! See you all on Monday, May 19, 2014! And a very happy Mother’s Day to all of you who are blessed with that privilege. May — G-A-R-A-G-E S-A-L-E!! Clear out your stash and make room for your new acquisitions! 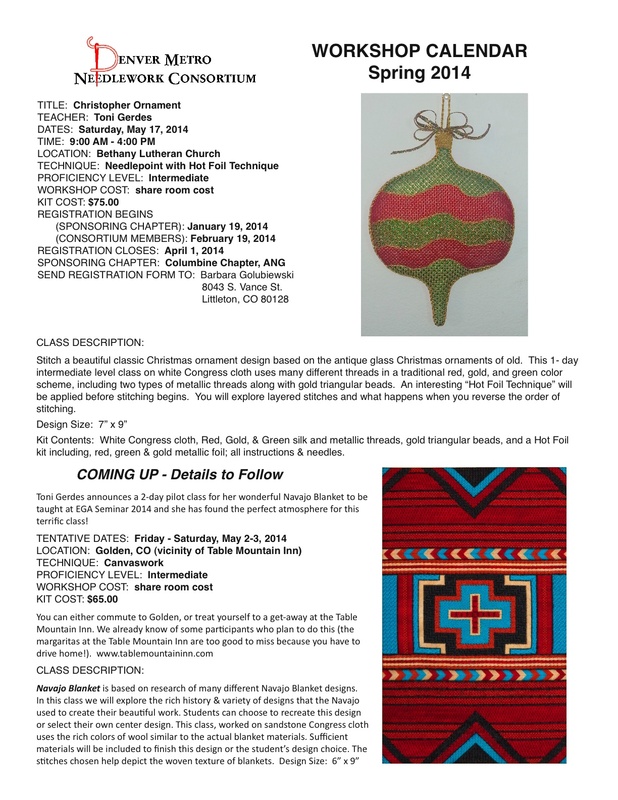 Price your items and donate just 20 percent to Colorado Columbine Chapter! 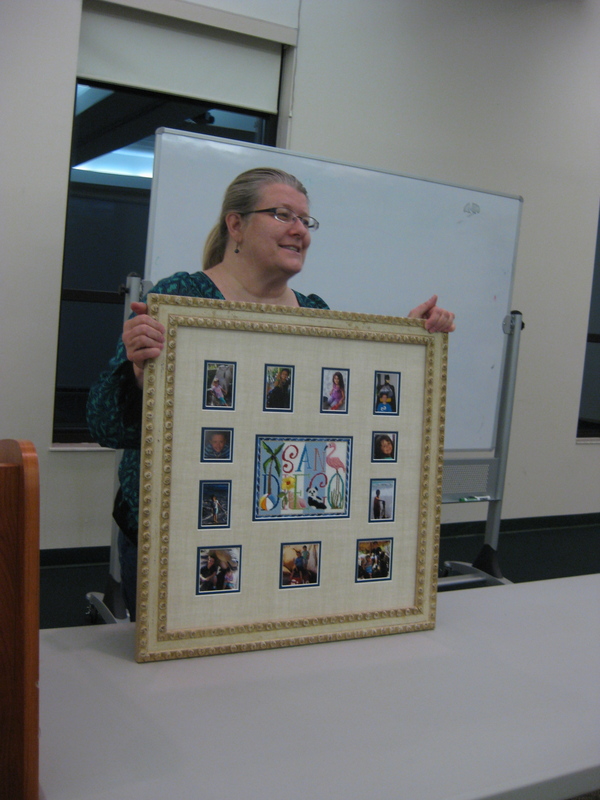 December –NO Meeting–Happy Holidays and Joyeux Stitching! 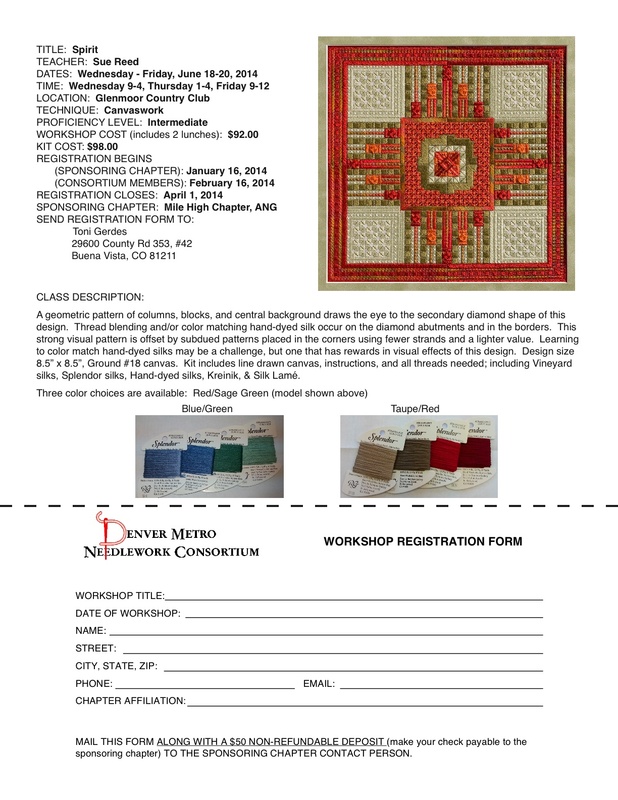 January, 2015 –Janet Gebow Bargello Design, especially designed for our group! 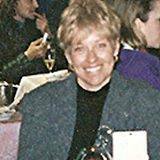 1st VP, Programs – Barb G.
Denver-area needlepoint lovers are invited to join us for our “Annual Holiday Party” and potluck supper on Monday, November 18 at 6:50 pm at Bethany Lutheran Church. 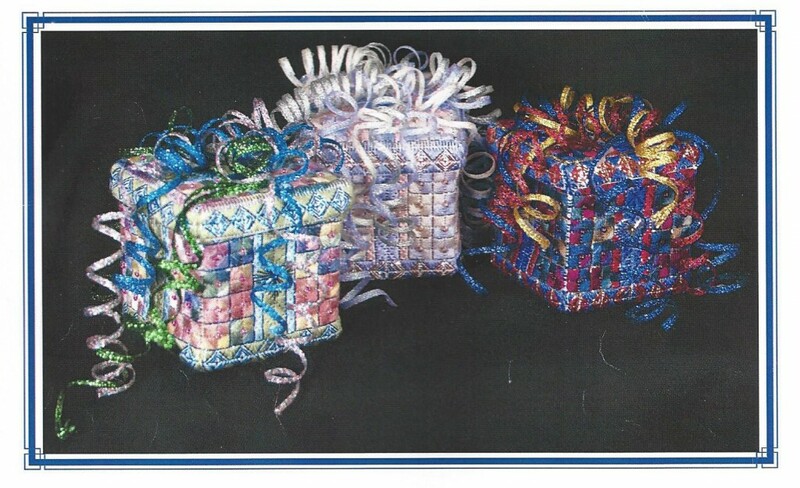 If you wish to participate in our gift to exchange (under $10 is recommended cost), please wrap and bring it. Also, please bring a non-perishable food item to be donated to one of our local food banks. Tis the season to share! It’s the grand finale of our Cookie Cutter Ornament Contest! 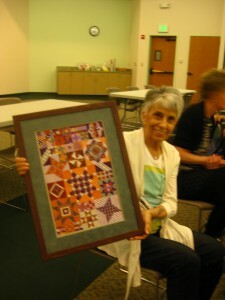 The winner will be chosen by popular vote and a prize awaits the most creative needlepoint creation. No formal meeting scheduled. Enjoy your holidays with family and friends. -Finished “Galaxy” can be presented to the membership for ooos and aaahs. Information will be given out at November 18 meeting. -Members may add names to the nominations for new officers. -Spring Garden Humbug, and Floss Holder. -Finishing Spring Garden Humbug and Floss Holder. Looking forward to seeing all of you Monday for the Annual Holiday Party!